Nespresso Citiz is the companion for modern design lovers and Nespresso enthusiasts. Many Nespresso Machines have been on the market, but no one has hit such a fame like Citiz. Don’t mistake it to a common coffee maker. When you talk of Citiz, you’re talking to an ultramodern design coffee assistant with an unbeatable beauty and functionality. This is to include the efficiency and speed of performance: actually, in just 30 seconds or less, you will have your cappuccino ready. The advantages of Nespresso Citiz out weight the costs by far, consumers can save lots of cash but still get the enjoyable high quality coffee from their homes. Also, you can with little ease create drinks quickly with minimal effort. Insert and Electable Capsules: the Automatized programmable settings can memorize your preferred cup side for the next time. When the capsule is emptied the machine will also automatically release the capsule. Further review indicates Citiz can also store up to 10 used capsules before the need for clearing out. Frothing: it already comes with a milk frother built into it. 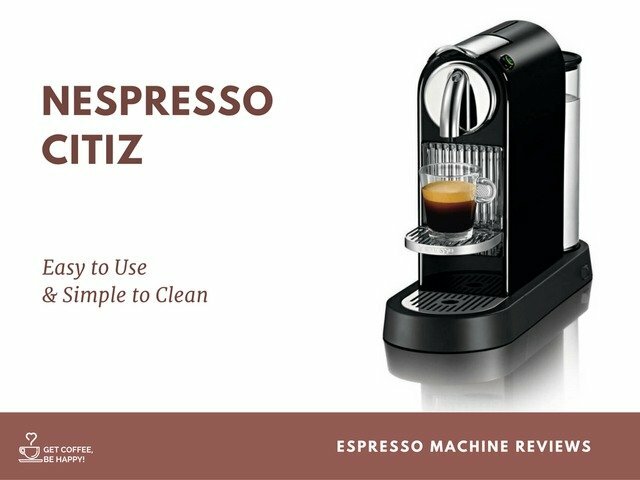 Simplicity and ease of use: Citiz is the easiest and simple espresso machine to maintain and use in the lineup of espresso machines. Compactness: The machine can fit in virtually all rooms. The capsules run out quickly, there is a need to stock them up. Buttons can be very sensitive to any unnecessary touch. Regular descaling: there is a need to conduct a regular descaling procedures, it’s recommended that you descale the machine every 3 months, or you can either descale after every 300 capsule uses. This may be laborious. There are three different models of Nespresso Citiz, and they are all dedicated to providing for a powerful coffee serving and finish. The last one comes with detached milk frother which can be plugged in but it can function independently as well. Of the three models, most consumers prefer buying the detached model because of its ease of cleaning, and storage. Not all the time you will need the frother, hence you can have it kept away if not in use. This machine can serve various types of people and various occasions. It is an all-round machine that brings closer comfort. The Nespresso Citiz can be used as a perfect solution for an afternoon coffee regular use, or it can also be used in the office for the co-workers. 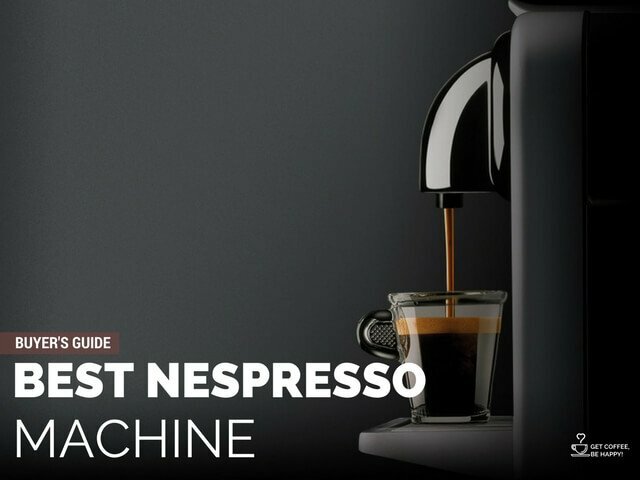 Astounding feature in the most reviews of Nespresso Citiz is its superb ability to enhance an ease and simple operation. Not only is the machine known for making espresso with speed and easiness, but also known for the ease of the cleaning process. You do not need to personally deal with a complicated descaling or cleaning process. Rather, after finishing up your drink, ensure there is water in the water tank and press the start button again. It will clean automatically. It’s also easy to make a cappuccino just by the use of the integrated milk frother. Besides the splendid beauty and simplicity, it is also fitted with modern lifestyles that provide a powerful start-up speed and production. Its design allows the water tank to be rotated to fit into different types of living space, large or small. Most of the Citiz review reveals that this powerful pump, with its 19 bars of pressure, hauls and heats up water in an electronic speed but still guarding your perfect temperature. For every cup of coffee brewed with the Nespresso Citiz, there is always an untold freshness. This ambrosial freshness comes from the fact that the specially designed vacuum-sealed coffee pods are involved in brewing. The milk frother, called Aeroccino, comes with the Citiz on the purchase, and this is the manufacturer’s version of milk frother. It should not be confused with a steam wand. Rather, it’s a separate pitcher that can simultaneously heat up and aerate the milk. These can be easily fitted with no bit of difficulty, besides, they are very simple to clean. Insertion and Ejection of Capsules: they can hold 10 used capsules. Descaling Alarm: it is used to warn when the machine needs to be descaled. Style and Available Colors: The Nespresso Citiz is comprised mostly of plastic and stainless steel with a beautiful retro modern design. It is a full-bodied coffee and espresso machine. Citiz is just a bit bigger than most of the Nespresso machine, arguably packs the biggest flavor, more favored in taste according to the reviews. Compact Brewing Unit Technology: this ensures fast preheating time, typically 25 seconds. Backlit Buttons: provide for ease of use, to enable the automatic shut down after 9 minutes of inactivity. Automatic and Programmable Coffee Volume Quantity: Espresso and Lungo. Pivoting Cup Tray: it helps in providing accommodation for tall recipe glasses. The machine can be turned on when you hit either the Lungo or Espresso buttons located at top of machine. 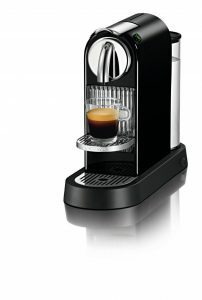 The Nespresso Citiz is an espresso machine which is compact, convenient and provides for great-tasting espresso. When it has been incorporated with the Aeroccino, you will be sure of creating full-flavored espresso shots as well as choice creamy espresso drinks. Even though you may lose some choice in the type of coffee you can use as the machine will require you use pods, nevertheless, Citiz offers a wide range of coffee one can buy. The machine is easy to use, simple to clean, and gives you the option of purchasing it with an integrated frother, or purchasing a separate detached frother for your convenience.